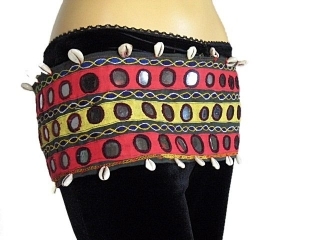 Browse through and shop your favorite belly dancing costumes and accessories. Authentic banjara skirts in a combination of rustic and brilliant colors accompanied by wide mirror work belts are a perfect addition to any professional dancer's collection. Long skirts, halter bras and hip scarves with silver and gold color coin work in georgette or velvet fabrics, and a wide range of colors, complete any dance wear collection. 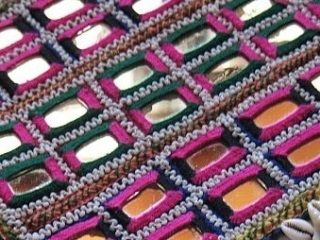 Customize by costumes with wonderfully embroidered textile patches from the gypsy communities in western and southern India. 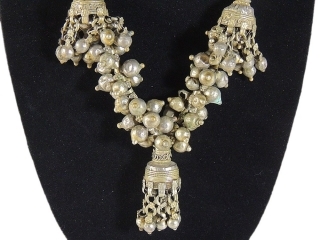 For those who wish to indulge in authentic tribal jewelry from India, accessorize your dance attire and choose from our collection of handcrafted necklaces, neck rings, armlets, bracelets and cuffs.